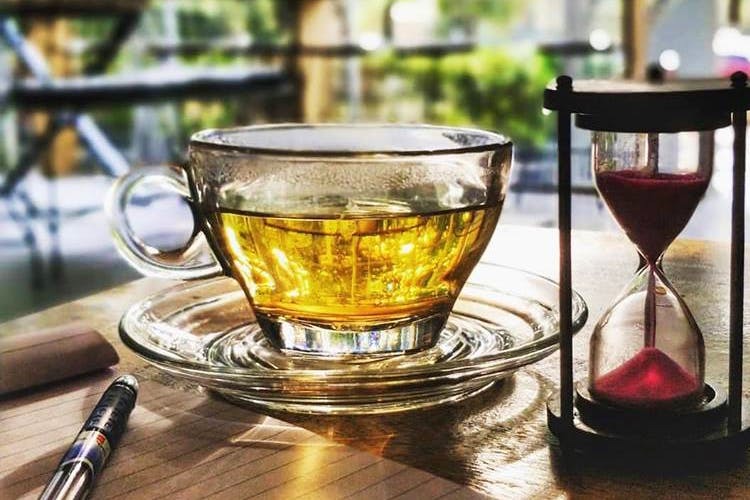 From Masala To Matcha Moringa, This HSR Cafe Has 95 Whopping Options Of Tea! Mumbai's cafe chain, Tea Villa Cafe has finally made its way to Bangalore and with it comes an extensive, really extensive, tea menu of more than 95 flavours, all vegetarian fare, and an Insta-worthy decor. It's a tea-lovers paradise right here in HSR and it doesn't matter what kind of tea drinker you are too, there's at least one cuppa for everyone. For the ones whose idea of tea is chai, there's masala to lemongrass flavours to order. Black tea drinkers, there's about 15-odd tea flavours to choose from including a chocolate chai and Bengal chai, the former which we tried and wished it came in a pot instead of just a cup. If you are one with no preference for tea, pick from a selection of herbal tea, white tea, or rooibos tea. Plus, Oolong, Earl Grey, and green tea to keep things a bit fancy. Don't worry about scratching your brain trying to figure out what is what, as the menu comes with a really informative description of each flavour. For instance, we are told that Queen's Blend, part of their handcrafted tea section, is a blend of black and green teas along with lavender flowers, rose petals, and a hint of vanilla. Quite royal, it sounds no? And while you wait for your tea, it can take some time depending on what you have ordered, explore the rather gorgeous space. It's one for the 'Gram with its ceilings with floral prints, monochrome floors and pretty corners. The menu is an all-vegetarian affair with small bites, breakfast trays, sandwiches, bagels, and waffles. Order by the pot if you are going with friends and pretend you are having tea with the Queen. Pinkies up, when you sip!